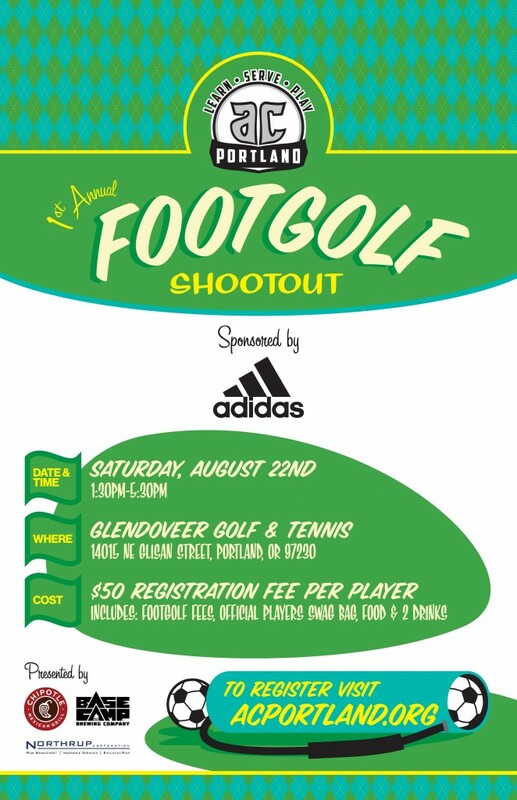 Active Children Portland is proud to announce that on August 22nd, 2015 Glendoveer Golf & Tennis will host the first annual Active Children Portland FootGolf Shootout sponsored by adidas. FootGolf is a new, exhilarating sport that combines the rules of golf with the energy of soccer. 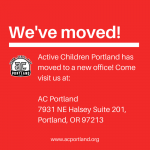 This event promises to resonate exceptionally well with our passionate Portland sports fan base, and will provide funding for Active Children Portland programs. Up to 144 registered players will participate in the shotgun style tournament. There will be beverage carts, labeled 21+ areas, and a merchandise booth that will be available for spectators throughout the event. An awards ceremony will take place at the conclusion of the tournament, congratulating the participants as well as highlighting major event sponsors. So break out your best golf outfit, and come play in one of the fastest growing sports! Sign up your foursome today, and we’ll see you at Glendoveer Golf & Tennis on August 22nd! We’d like to thank adidas for being our title sponsor. We would also like to thank Base Camp Brewing, Chipotle, Mercades Benz of Wilsonville and the Northrup Corporation, our presenting sponsors, for providing Active Children Portland with the opportunity to take part in such a great event. Sponsorship opportunities available. Email info@acportland for more details. Active Children Portland’s New Public Service Announcement. Community Cup: Volunteers Wanted We’ve moved!